We're getting ready for our little man's 3rd birthday this weekend. 3. How did that happen so quickly? He finally settled on Finding Nemo for a theme after saying everything from Lego to Wreck-It-Ralph. Now he just says, "My birthday is coming soon." I'm glad he went with something fairly easy and colorful. 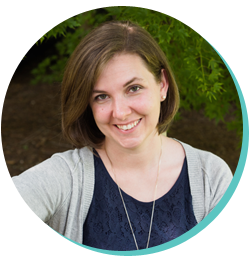 Planning the kids' parties is one of the most fun parts of motherhood for me. I like doing their parties and I like doing them big. We already had the netting from a Little Mermaid party a few years ago. And I have an ever-growing collection of crepe paper and balloons. Yay for party supplies! I found the stickers to hand out as favors on clearance at Meijer last week-- 50 cents each. Useful and cheap. 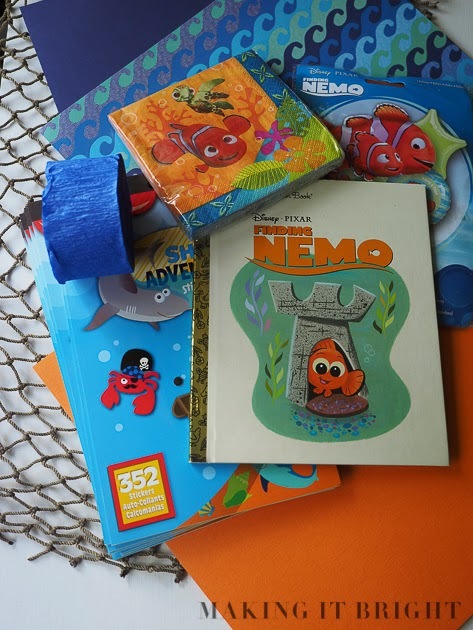 Before my favorite party store closed last year, I went there and scooped up lots of clearance napkins and invitations, including the Nemo napkins above and the invitations I used this year. I found the scrapbook paper at Hobby Lobby today and plan on making a banner with our little man's name. And the balloons and book were purchased from Amazon. We'll use the book as a guest book, asking the attendees to write a message to the birthday boy. My husband will make the cake, and he found a (discontinued) fish pan on eBay. They were asking $25, he offered $12 and they accepted. Now to keep the house clean and finalize the menu and decorations. Stay tuned for a picture-laden post of the party.